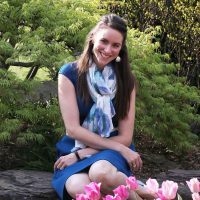 Attention, all mothers of babies and toddlers! I have found you the perfect meal delivery vehicle. That’s right, the pita pocket! You can hold it in one hand, it won’t fall apart when you put it down (plus it’s easy to pick back up again! ), AND nothing will fall or drip out of the bottom of it while you are juggling your baby with one hand and your meal with the other. Another new mommy bonus: This meal only takes 10 minutes to make. …Did anyone else just hear the Hallelujah Chorus in their head? Drain your black beans, chop up your onions and cilantro, and measure out your spices. Stir together the black bean filling, mashing the beans as you go. Don’t try to mash them too thoroughly, just enough to help the filling hold together a little bit better. 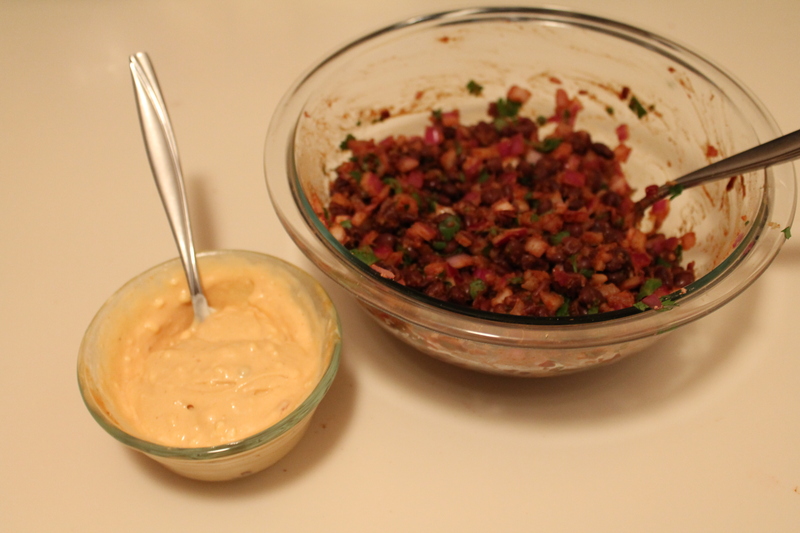 Mix together your mayonnaise and chopped chipotles with adobo. I uses about 1½ tsp. adobo sauce and maybe half a minced chipotle, but you can increase or decrease that depending on how spicy you like your chipotle mayo to be! 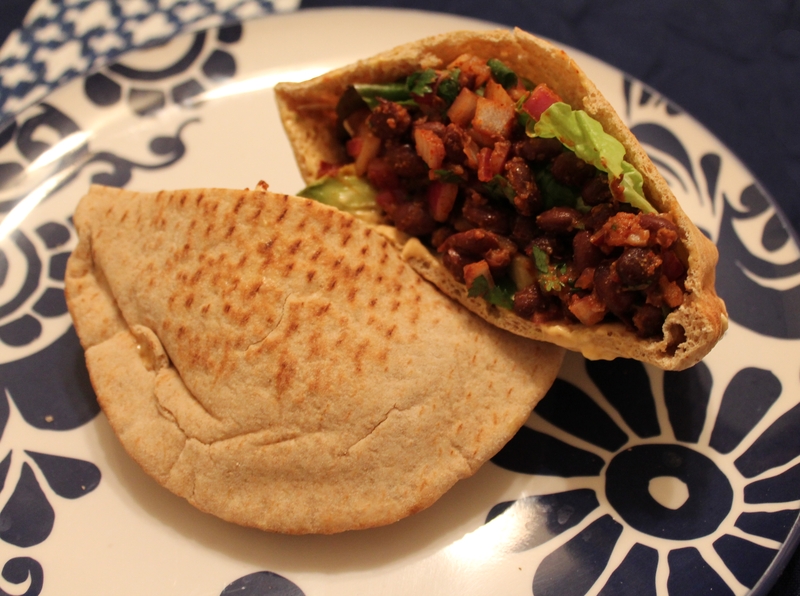 Assemble your pita pockets. Cut each pita round in half. Spread the chipotle mayo inside the pita halves. Layer in a few lettuce leaves, several slices of ripe avocado, and a few large spoonfuls of the black bean mixture. Yum! 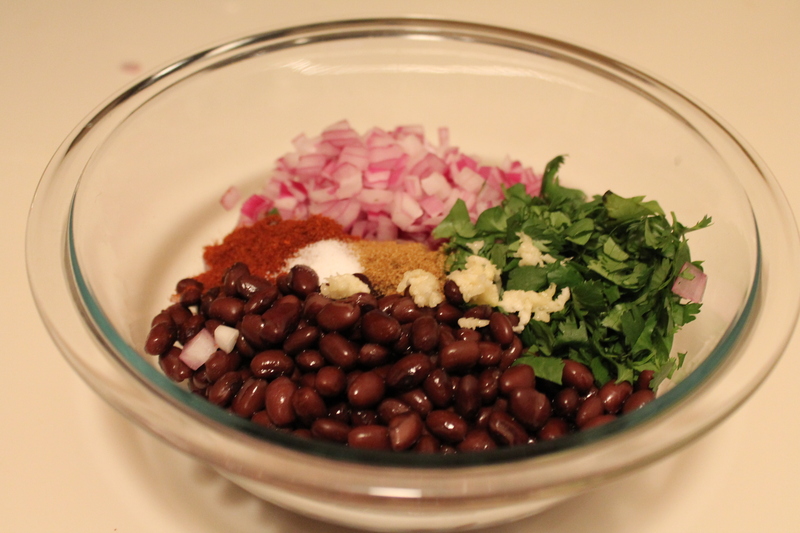 Combine black beans, onion, cilantro, garlic, chili powder, cumin, lime juice, and salt in a large bowl. Slightly mash the beans while stirring, until all ingredients are incorporated and the mixture just holds together. In a small, separate bowl, stir together mayonnaise and chipotles. 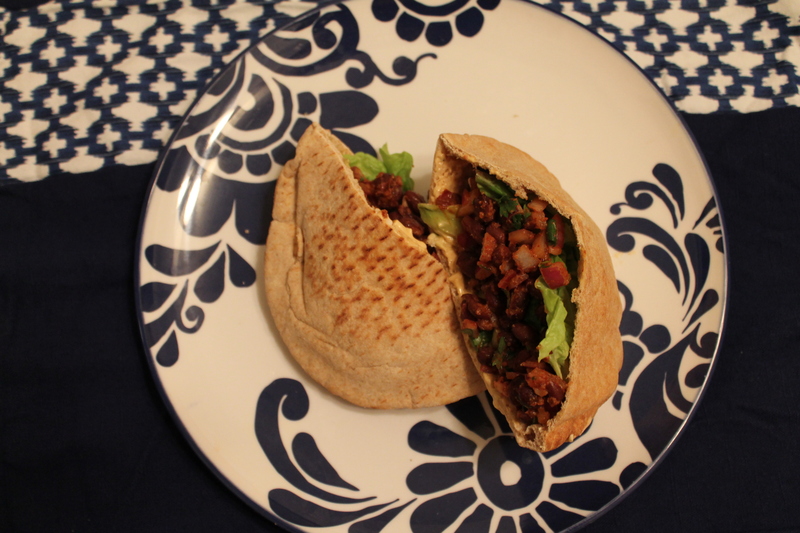 Spread chipotle mayo inside each pita. Spoon in black bean mixture. Top with avocado and lettuce. Serve immediately.